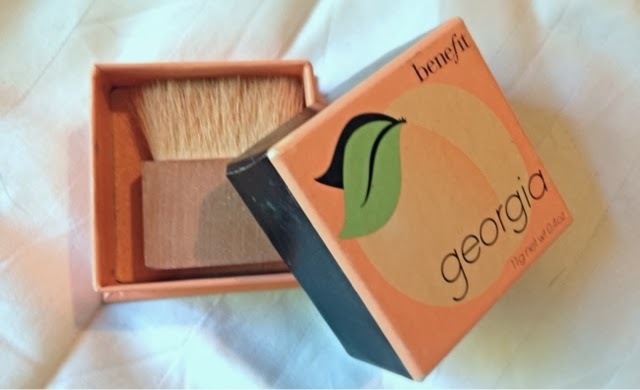 Benefit Georgia Blusher - Hands up if you, like me, love every single boxed blusher than Benefit have ever offered to us? I don't know if it's the cute and sturdy packaging, the snazzy names and design or the fact that the product inside is actually rather good that makes me love them more. They are on the pricey side so I regularly hunt ebay for older ones and rarely treat myself to their newest offerings, but this one suited me so well throughout Summer and Into Autumn (I cannot let go of my tan) that I thought it really deserved a mention. It gives me that subtle glow that I personally always want from a blusher, I'm naturally very rosy anyway so adding to that is usually a no-no and the thought of it scares me quite a bit! This coral toned blusher however is perfect for me, it highlights my cheek bones and gives me an oh-so subtle touch of colour to the apples of my cheeks and works brilliantly to enhance my tan. I always feel that these boxer blushers and bronzers are worth their price tag (although I can't always afford it) and there's a reason I'll soon be able to build my own fort out of these adorable little boxes. 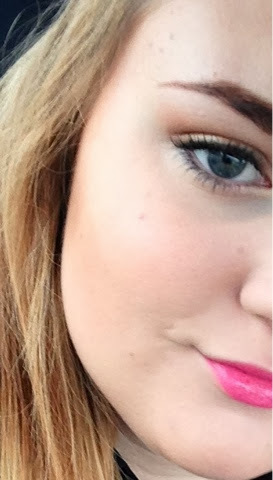 Which is your favourite boxed blusher/bronzer from Benefit?